We famous as Chaat Ka Chaska a prime seller in the food business sector is here in your city of Aurangabad to serve you with the tangy flavour of chaat. Based in the capital city of Delhi we are well known in the food industry as we have various dimensions in the field as Brewbakes Café. Chaat Ka Chaska Street and Fast Food Franchise Outlet in Aurangabad are being launched for all the interested folk who want their food business. Why Chaat Ka Chaska in Aurangabad? Aurangabad is the hub of many industries including education and popular tourist spot indeed. Different types of industry like as Electronic, silk and cotton textile production Modern Retail Industry has made its presence felt in the forms of Malls. Prozone is a big industrial area that is called an employment generator and alone created direct employment opportunities for 4000 people. Thus, Aurangabad is now a classic example of efforts of the state government towards balanced industrialisation of state. Aurangabad is the educational hub. Famous educational institutes and universities like Dr. Babashaeb Ambedkar Marathwada, Marathwada Institute of Technology and Jawaharlal Nehru Engineering are some of them. Also, National Institute of Electronic and Information Technology Aurangabad and Institute of Hotel Management, Aurangabad, is affiliated to the University of Huddersfield are regularly overwhelmed with student folk. Moreover, Aurangabad is especially known for being a tourist hub as Ajanta and Ellora caves are located here only. Bibi Ka Maqbara, the Daulatabad Fort, Panchakki, Gateways, Aurangabad Caves, Girineshwar Temple, Salim Ali Lake and Bird Sanctuary, Tomb of Aurangabad, Kachner Temple, Siddhartha Garden and Zoo, Prozone Mall and House of gaonkarbaba. Thus, being such an excited place Aurangabad will never disappoint having Chaat Ka Chaska Street and Fast Food Franchise Outlet in Aurangabad. All the various major footfall shopping complexes, eateries corner and restaurant are just flawlessly witnessed the foodies munching over street food. Well, our chaat and street food services are endless in their accurate taste and essence which have made us one of the popular brands in the field. 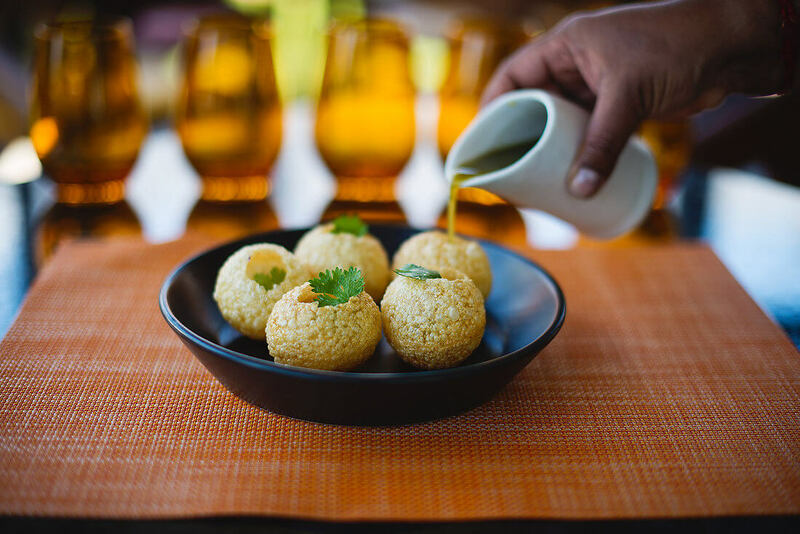 Ranging from the mouth-watering varieties of chaats to Raj Kachori to the most commonly appreciated Tikki’s that is prepared with multiple spices and ingredients are just exemplary. When it comes to chaat dairy how can one forget about Golgappas or Pani Pori also called as Batashe to discuss? Samosas, Pakodas, Dahi Bhalle and much more yet to name are our speciality. Our Chaat Ka Chaska Street Food Franchise Outlet in Aurangabad stands different from other companies that follow a bulky, puzzled and time taking process to offer you a franchise. We are simple to be more approachable to own a franchise as earnest as interested folk want to have. Apart, we are admired for giving a solid start to your street food business by handling every now and then that comes across. So, invest with our low investment option of Chaat Ka Chaska Franchise Outlet in Aurangabad and gain the maximum profit within no time.